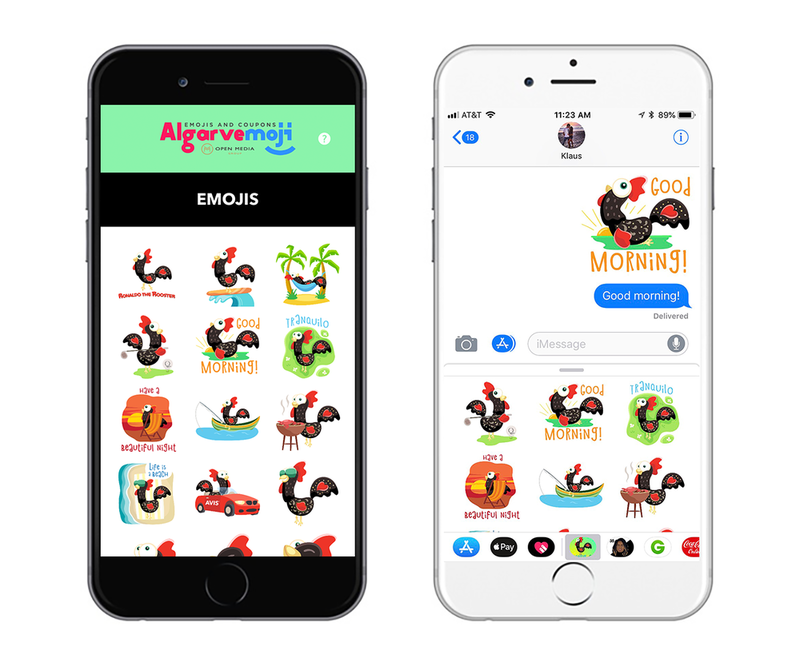 The AlgarveMoji Emojis and Coupons App is the go-to life style app for all things Algarve. The Algarve is one of the most beautiful locations in the world to vacation. Considered one of the best places to retire by the Wall Street Journal, the Algarve features a combination of attractions and entertainment. Activities include but are not limited to visiting beaches, fun night life, golf, tennis, delicious food and sight seeing. With so much to do in the Algarve, AlgarveMoji helps you plan your trip, find the best places to go, and save money at the same time. Created by people who were born and raised in the Algarve, our proprietary app curates coupons and hilarious emojis that allow you to send coupons to your friends, straight from your iPhone. Never be at a loss as to what to do in the Algarve again, the AlgarveMoji Emojis and Coupons App is a 100% FREE app to download and comes loaded with hundreds of dollars worth of discounts. Don't stress, we're here to help save you money! Look what you can save on! All of our emojis are illustrated by our professional team of designers. We want to talk! Do you have questions about the app, or would you like to have your business on our app? Please fill out the form below and we will get back to you within 24 hours. The AlgarveMoji Emojis and Coupons App was created by a father-son team after throwing out a handful of coupons that had expired. Wondering if there was a better way to store and redeem coupons, they thought of the AlgarveMoji Emojis and Coupons App. Basing coupons around emojis allows friends to send coupons easily to one another, while also building a fun platform to send emojis that everyone loves! Raised in Carvoeiro in the Algarve, Klaus Moeller knows the best places to go for anything! From the hottest clubs to the smallest, most obscure place to eat Piri Piri Chicken, Klaus wanted to help people visit his favorite place in the best possible way! Specializing in product creation and an emoji aficionado, Hayden Moeller has always loved working with his family. Being in his 20's, couponing is a very common thing to try and save money on every purchase. With travel being more expensive every year, it was impractical to visit his family that lived in Carvoerio. Creating AlgarveMoji is both a way to try and create a fun way for others to save money, but also create a way for Hayden to save money and see his family more often. 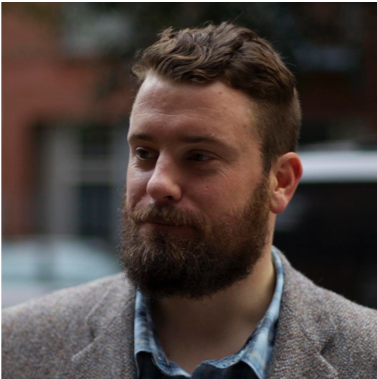 Cameron's other experience includes founding a digital agency based out of Brooklyn called Fictive Kin. As part of Fictive Kin, Cameron worked alongside some of the world’s most recognized brands including Samsung, National Geographic, Gap, The Atlantic, WeWork, and Kickstarter. In this role, Cameron leads both design and engineering teams in the development of new software applications for both web and mobile. Bruce is the founding partner and CEO of Open Media, a publishing group based in the Algarve with a portfolio of print and digital media in the English, Portuguese, French and German languages. Bruce’s career as a publisher in Portugal spans more than 30 years, having worked on projects in the Algarve, Lisbon and Madeira as well as joint ventures in other destinations such as Macau, China and Malaysia. The Open Media Group’s titles include both lifestyle and news media. Well know titles published by the company include the Essential group of magazines. Over recent years the group has expanded by way of acquisitions, taking control of three other publishing companies in the Algarve in order to merge some of the region’s longest established media titles into the group.